Despite being a big proponent of gender equality, Starling’s numbers don’t quite match up. As a digital bank that is founded and chaired by a woman, that runs gender equality campaigns like Make Money Equal, and is signed up to the Women in Finance charter, you’d expect their gender pay gap to be relatively non-existent. However, numbers revealed by Starling Bank yesterday have shown that it hasn't reached that point just yet. The data released by Starling Bank shows that on average, the difference between what female employees are paid compared to the men at the bank comes in at a median of 33.3 per cent, and a mean of 28.2 per cent. This is already a drastic improvement on 2017’s numbers, where the median difference was at a whopping 48.9 per cent. It is important to note that this refers to the gender pay gap across the spectrum of Starling’s hierarchy, and not men and women who hold the same position. 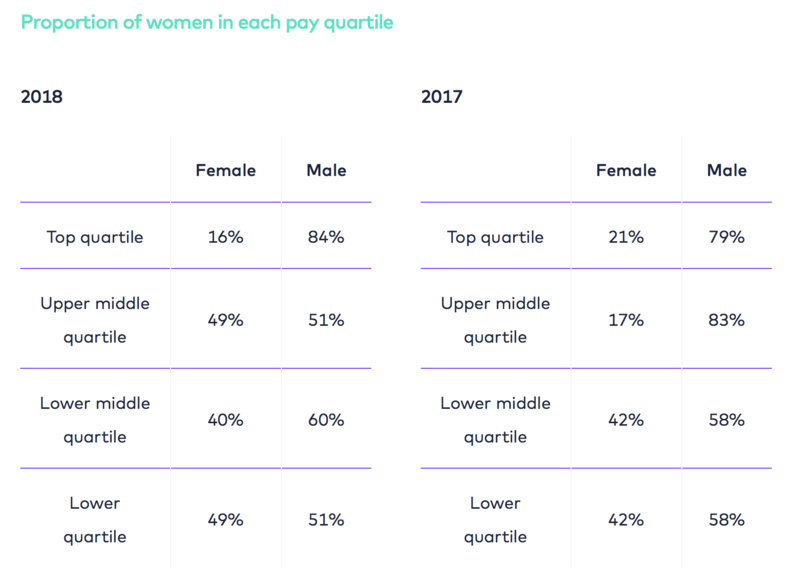 Starling Bank have also revealed the proportion of women and men in each pay quartile, with comparisons between 2017 and 2018 highlighting both improvement and deterioration. In the top pay quartile, a previously higher proportion of 79 per cent male to 21 per cent of female has dropped in 2018: women now make up just 16 per cent of Starling’s top workforce, compared to 84 per cent of men. Women also now represent a higher portion of Starling’s lowest pay quartile than in 2017, taking up 49 per cent in 2018 compared to the previous 42 per cent. However in other areas, Starling has made great strides: in the upper middle pay quartile, women have made a somewhat meteoric leap from representing just 17 per cent of the workforce in that salary bracket in 2017, to 49 per cent in 2018. In comparison to bigger institutions in finance, Starling certainly sizes up quite well compared to the numbers we’ve seen coming in from banks like HSBC, which saw a mean pay gap of 59 per cent. However in the alternative finance industry, it appears to sit on par or slightly below some its fellow firms: Funding Circle, for example, demonstrated a mean gap of 24 per cent. It just goes to show that finance still has a long way to go, even for those who, on the outside, seem to represent the best efforts in achieving gender equality.